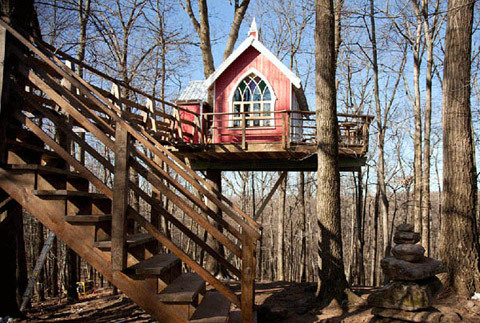 Not so high up in the Ohio woods—22 feet, to be exact—sits a remarkable little treehouse. 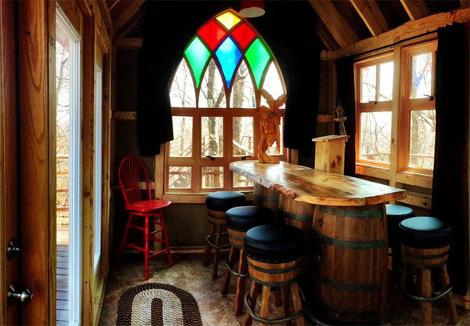 To the unknowing outsider, it’s a children’s playhouse; in reality, this lovely red-and-white establishment is home to a “fully functional craft brewing system and a stool-lined bar,” writes Foodbeast. 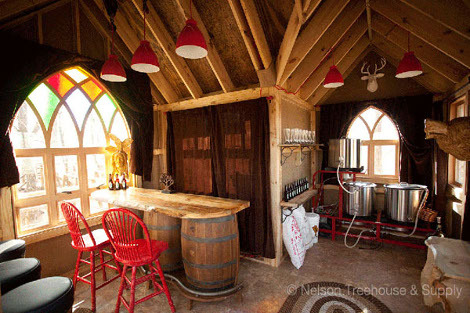 It’s called the Tree House Brewing Company (not to be confused with the original Tree House Brewing Co. out of Monson, MA), and according to its website, it was originally built for the Animal Planet/Discovery Channel Show Tree House Masters. Apparently, it’s also open for overnight lodging for two guests—reservations can be made here.